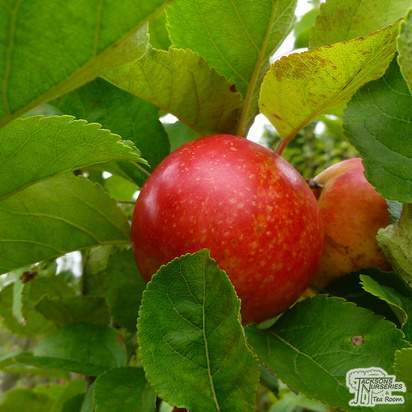 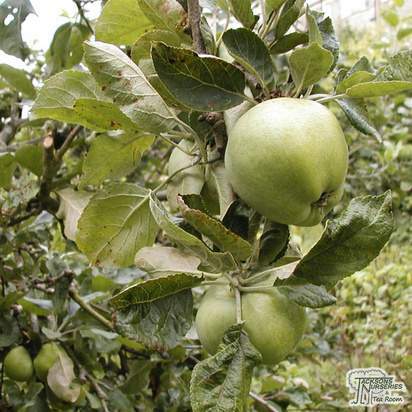 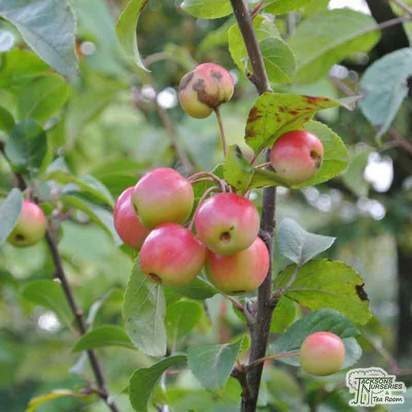 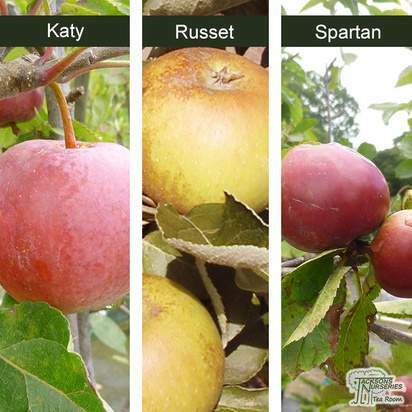 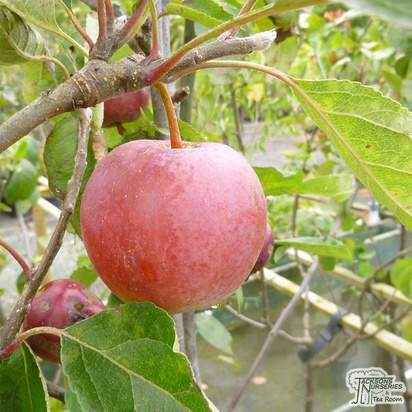 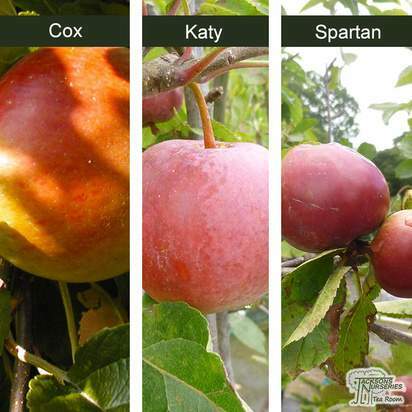 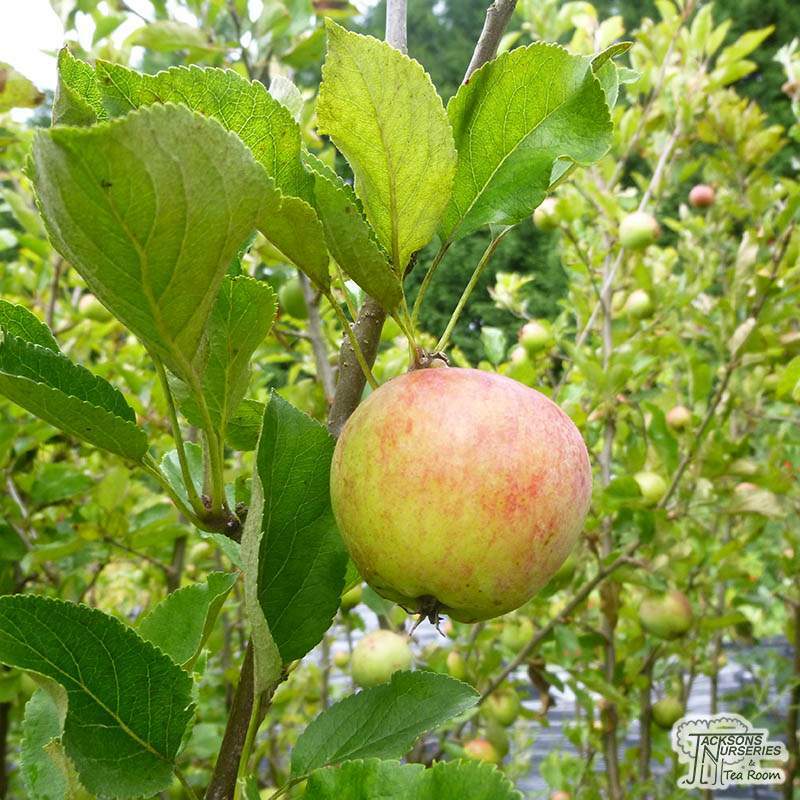 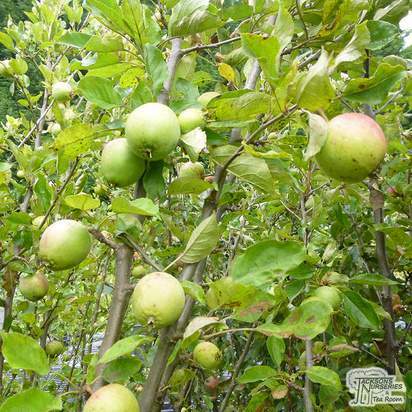 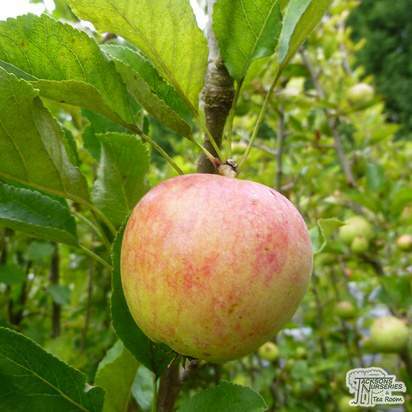 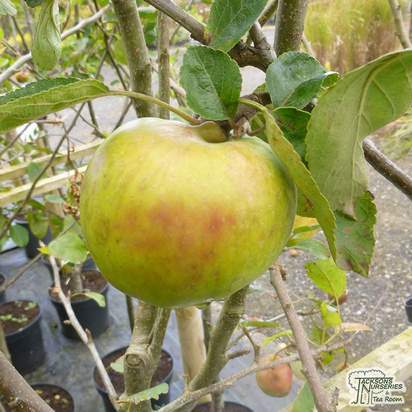 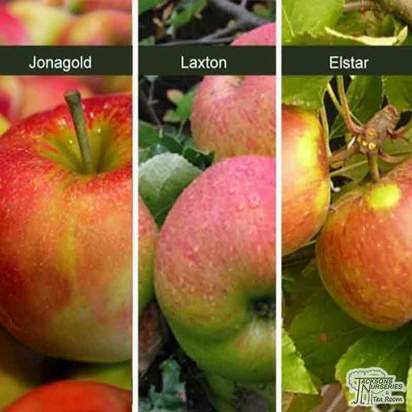 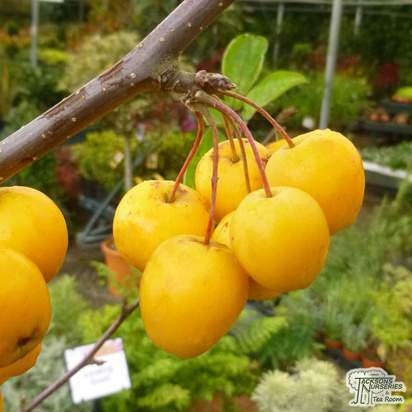 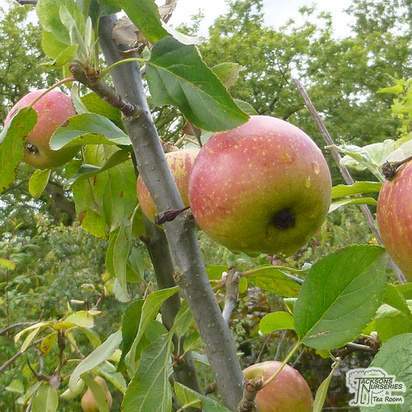 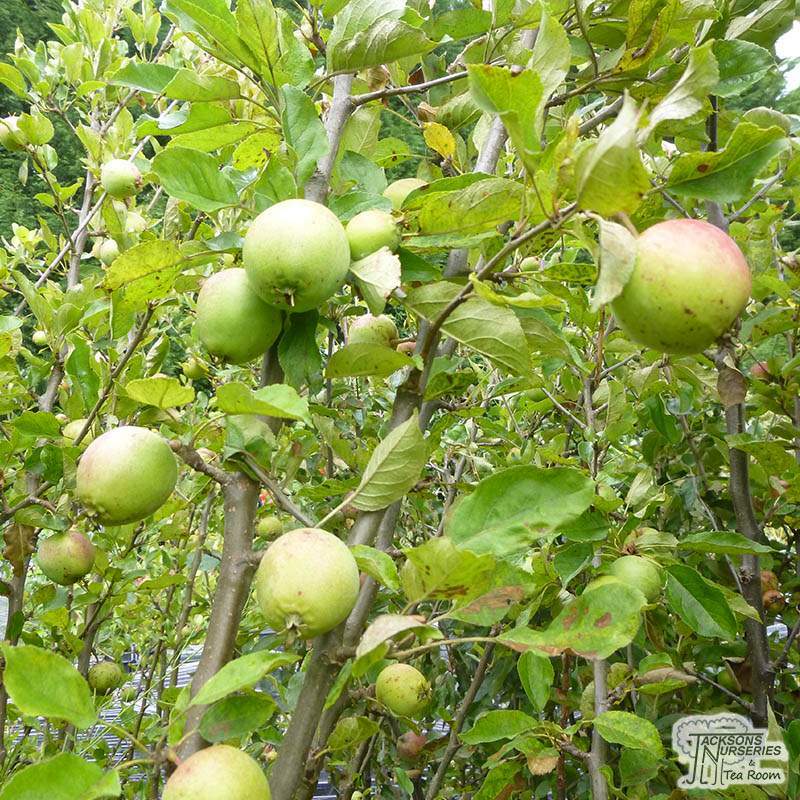 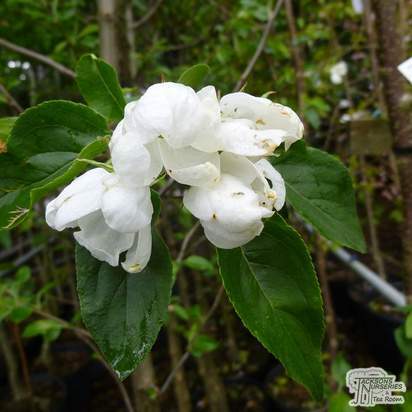 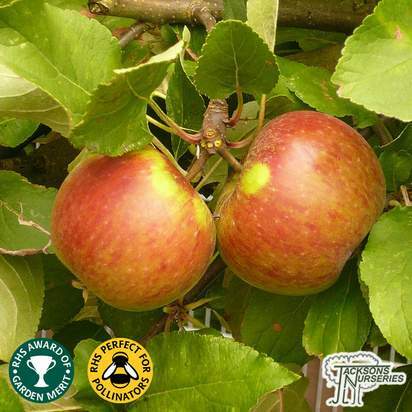 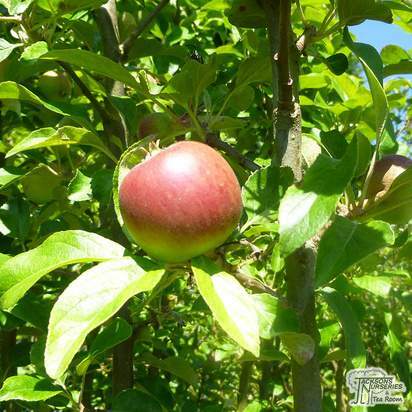 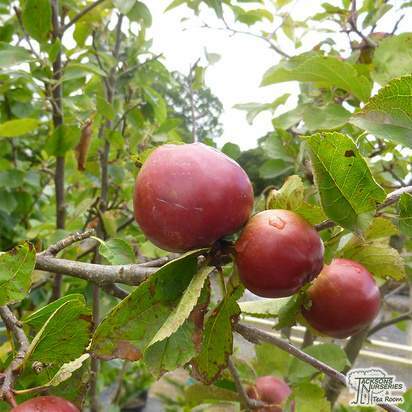 A vigorous deciduous dessert apple, with greenish-yellow skin, turning golden-yellow with a red flush as it ripens. 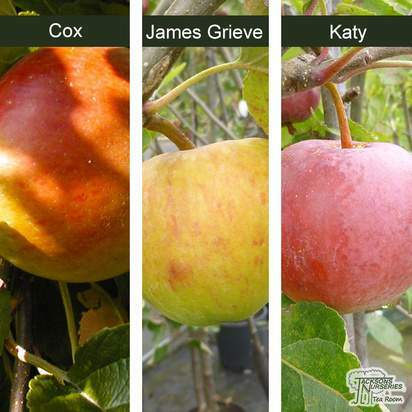 Cox like flavour, but with heavier crops. 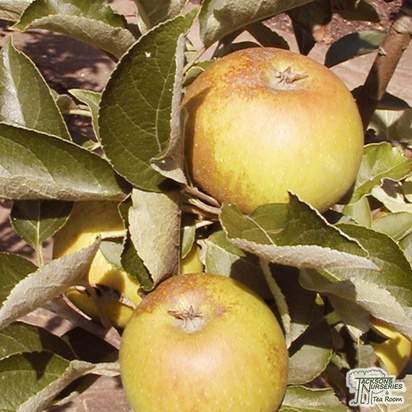 Fruits can be irregular shaped and heavily russetted. 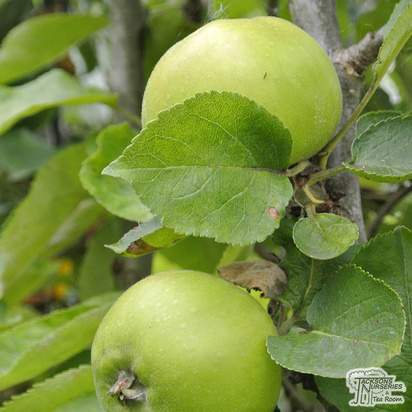 Ready for harvesting between October and January. 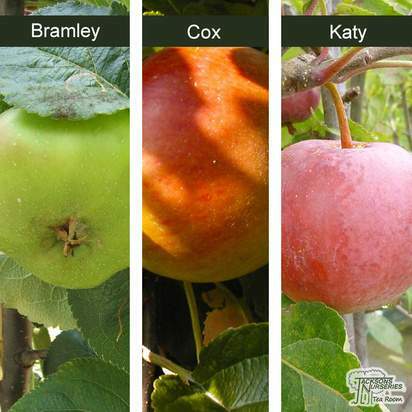 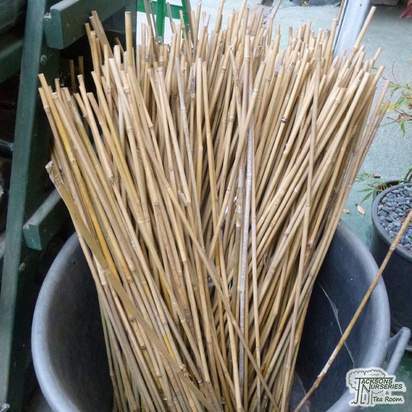 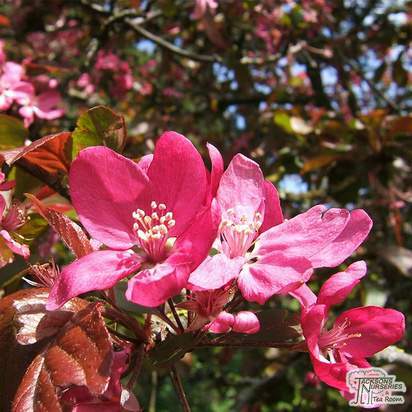 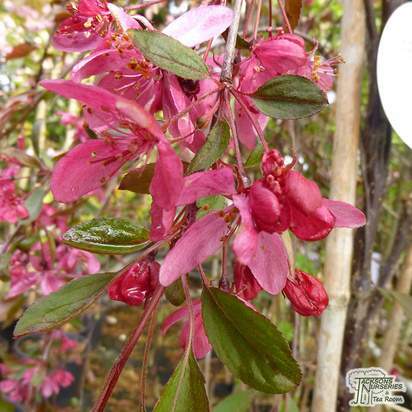 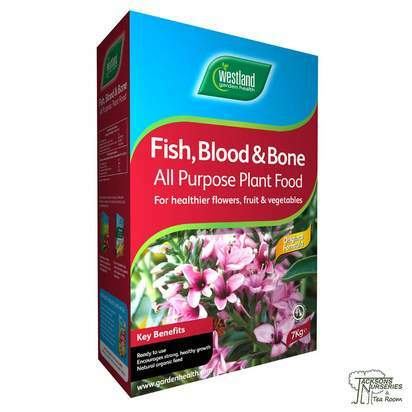 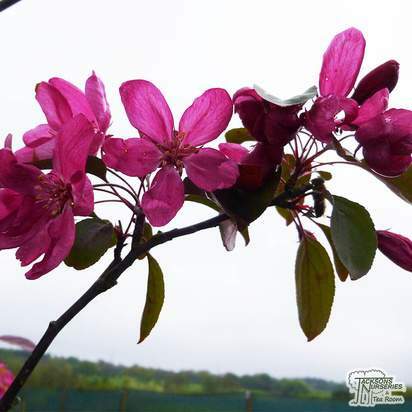 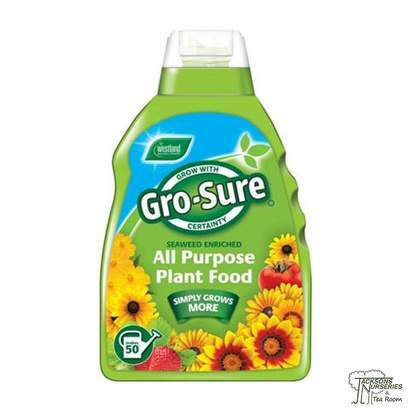 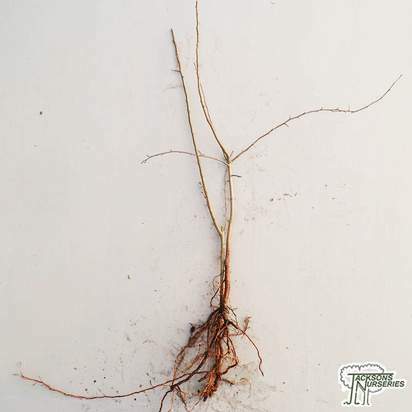 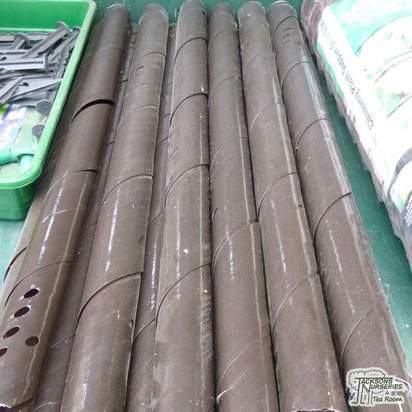 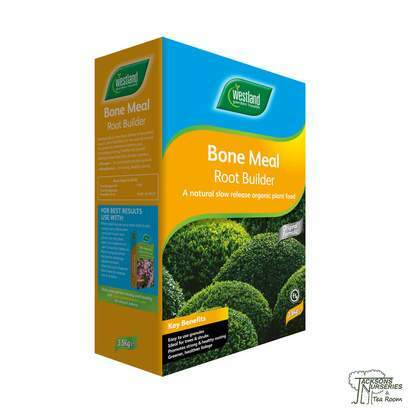 Suitable for Northern, colder areas with higher rainfall - will crop best in a sunny situation. 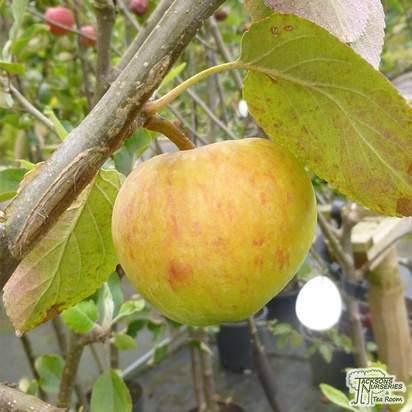 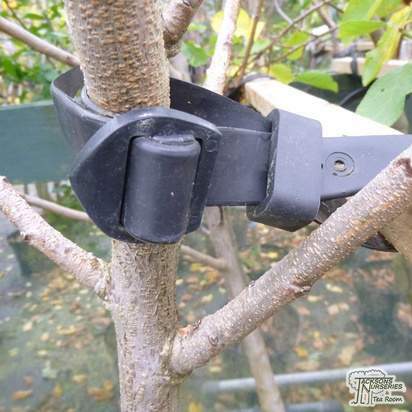 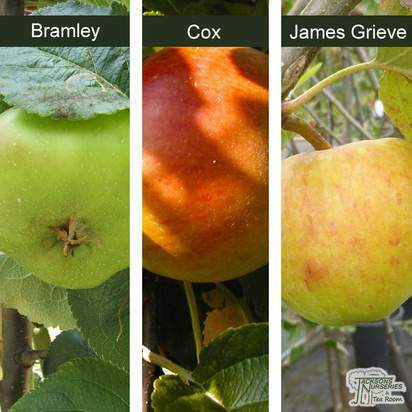 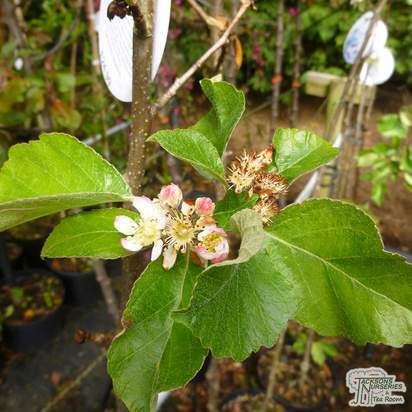 Jupiter' is incompatible with Apple domestica 'Cox's Orange Pippin'.